In March 2009, the Tibetan Buddhist monk and teacher Khen Rinpoche Kachen Geshe Lobzang Tsetan visited Colorado Springs and taught in a variety of settings. The turnout for and response to his talks, on the Colorado College campus and elsewhere, was so positive that Khen Rinpoche suggested to Natalie Morris and David Gardiner, who organized his visit, that they consider establishing a new, nonsectarian Buddhist center in Colorado Springs. A few months later, they founded BodhiMind Center. “Bodhimind” is a traditional Buddhist term for an attitude that strives to help awaken all beings to their fullest potential for insight, freedom, and love. BodhiMind Center seeks to share the riches of the Buddhist tradition with all interested and to foster a community of people dedicated to integrating Buddhist teachings and practices into their daily lives. We understand Buddhist practices to work toward the cultivation of universal qualities of kindness, compassion, and wisdom. While based in the teachings of the Tibetan tradition, BodhiMind Center is nonsectarian in spirit and welcomes people who share in the vision of deepening our capacities for more skillful and compassionate living. Khen Rinpoche Kachen Geshe Lobzang Tsetan was born in Ladakh, India, and educated in monasteries in Tibet and in India. 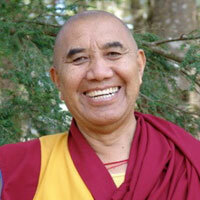 He holds the Geshe (PhD) degree in Buddhist philosophy. He is acting abbot of Tashi Lhunpo Monastery in exile in India and founder of Siddhartha School, a school for K-10 students in Ladakh. He spends half the year in the United States teaching Buddhism and raising funds for his two institutions. His life and teaching are the driving inspirations behind BodhiMind Center. David Gardiner is cofounder of BodhiMind Center and teaches Buddhism and other subjects in the Colorado College Religion Department. 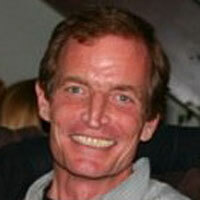 He came to Colorado College in 1998, after receiving his PhD from Stanford University in Religious Studies. He first studied Buddhism with Robert Thurman at Amherst College, and furthered his studies in India and Nepal. Natalie Morris is cofounder of BodhiMind Center. She was an engineer for a large contracting company but shifted careers to devote herself to mind-body practices. 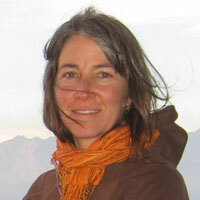 She is a professional massage therapist, yoga teacher and practitioner, and longtime meditator. Natalie has participated in retreats with Tibetan masters from different lineages, including a retreat at Nepal’s Kopan Monastery. In 2013, BodhiMind Center incorporated and applied for nonprofit status. The board of directors as of April 2017 are David Gardiner, Chair; Lana Coffman, Secretary; Rick Knapp, Treasurer; Natalie Morris; Elaine Brush; Karen Dunne; Rick Meinig; and Dave Resch.